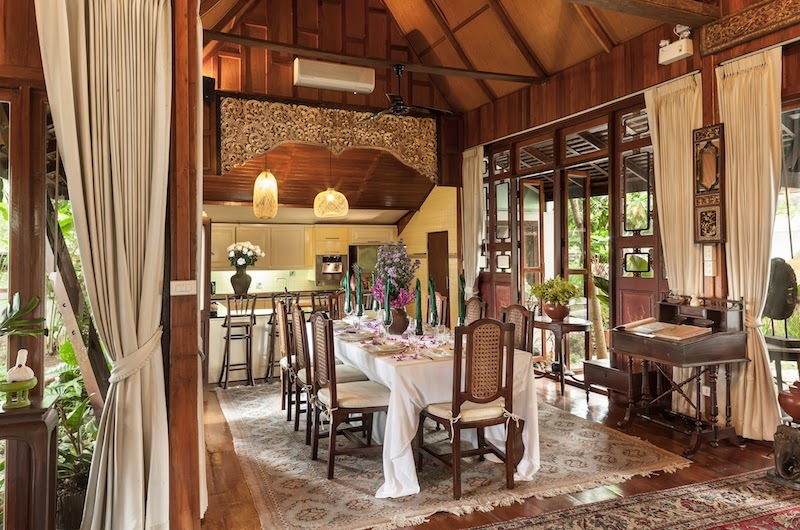 Chiang Mai Luxury Villa offers an exclusive selection of two beautiful four-bedroom villas perched on the luscious green banks of Mae Ping River in Chiang Mai. The property is hugged by an exotic garden, cradling guests in absolute privacy and Thailand’s stunning beauty. 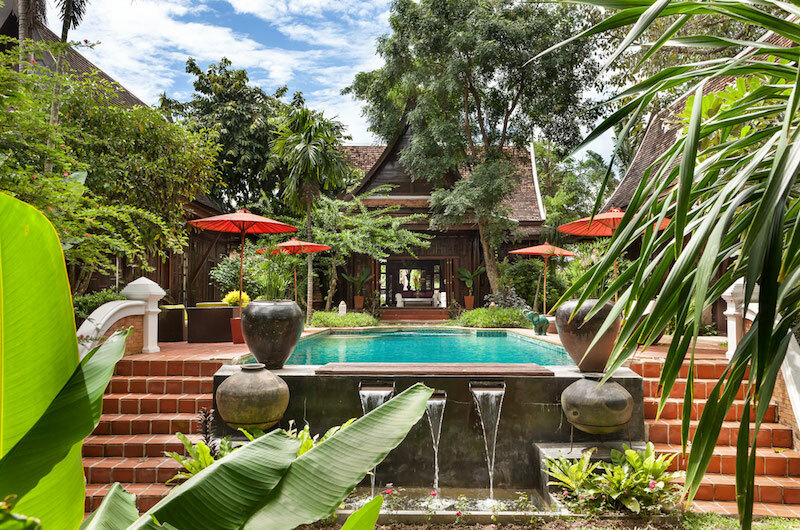 Boasting a traditional Thai Lanna design, these luxury villas offer lavishly generous bedrooms and abundant space for relaxing and entertaining both indoors and outdoors. 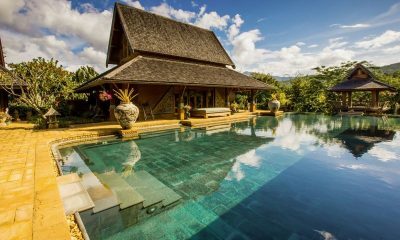 Both villas feature a generous private pool set amidst a stunningly tropical setting with a private terrace overlooking the river. 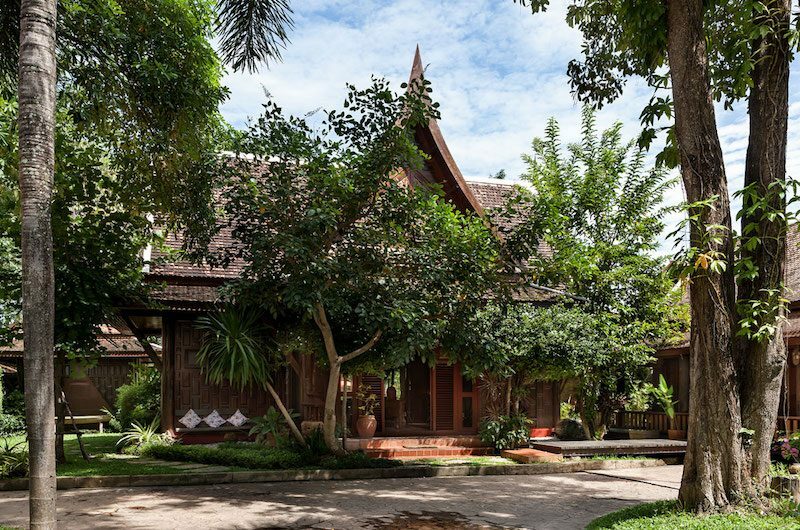 The exotic Ta Chang Villa is divided into five Lanna-style pavilions, allowing the indoor and outdoor spaces to fuse together seamlessly. 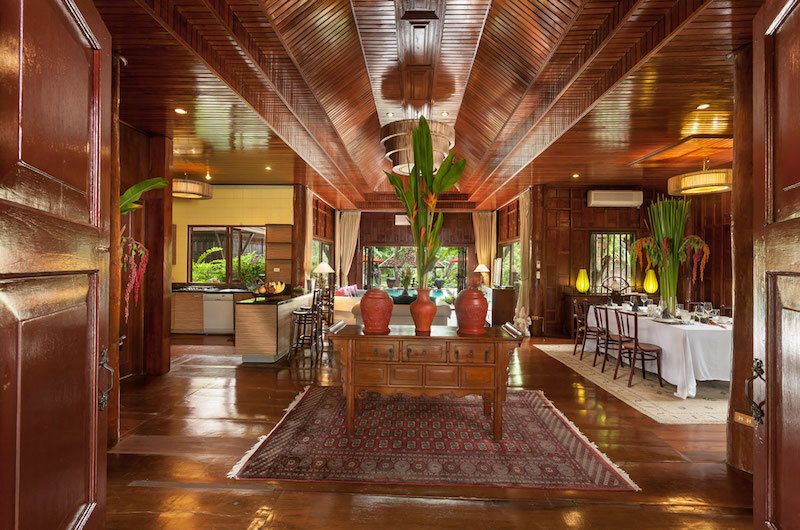 The villa boasts a luxurious Thai design with vibrant textiles and rich wooden surfaces presided over by stunning vaulted ceilings. Located in the main pavilion, the villa’s spacious living room offers beautiful views of the turquoise pool. The room houses a cream-colored sofa and armchairs, their quiet elegance perfectly offset by the room’s oriental rugs and exotic lanterns. To introduce a touch of modern luxury, the room comes complete with a flatscreen TV offering satellite cable channels as well as a DVD player. The living room is adjoined by a stunning dining area characterised by the same sense of space and light courtesy of sky-high ceilings and generous windows opening out to the garden. 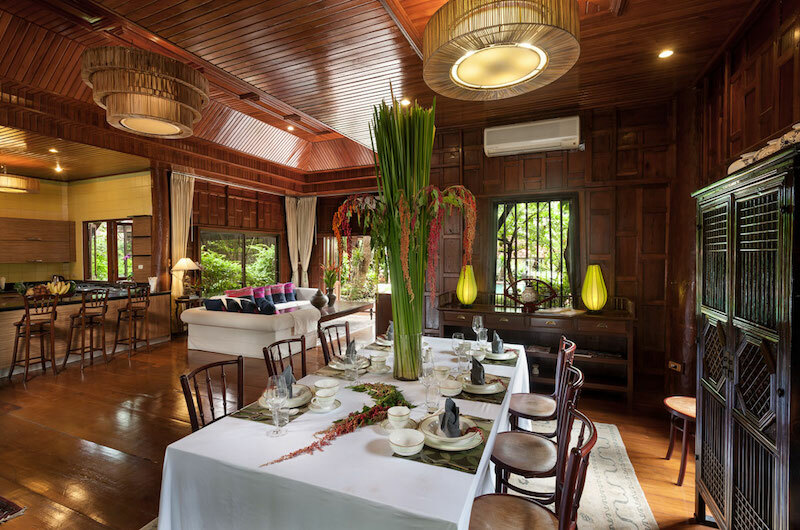 The teakwood table offers the perfect setting for tucking into an exquisite meal prepared in the villa’s well-appointed kitchen. The villa is centred around a breathtakingly beautiful pool visible from all rooms. 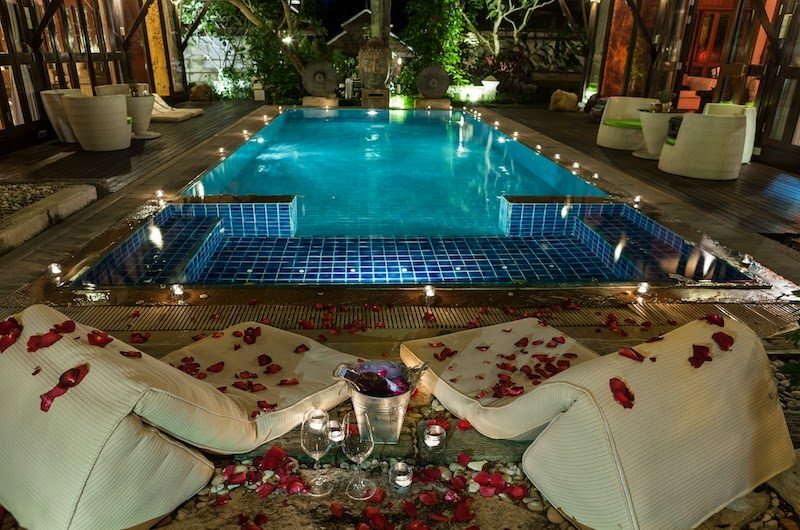 The pool is surrounded by a chic deck offering comfortable sunbeds, perfect for sheer relaxation in this hidden holiday oasis. 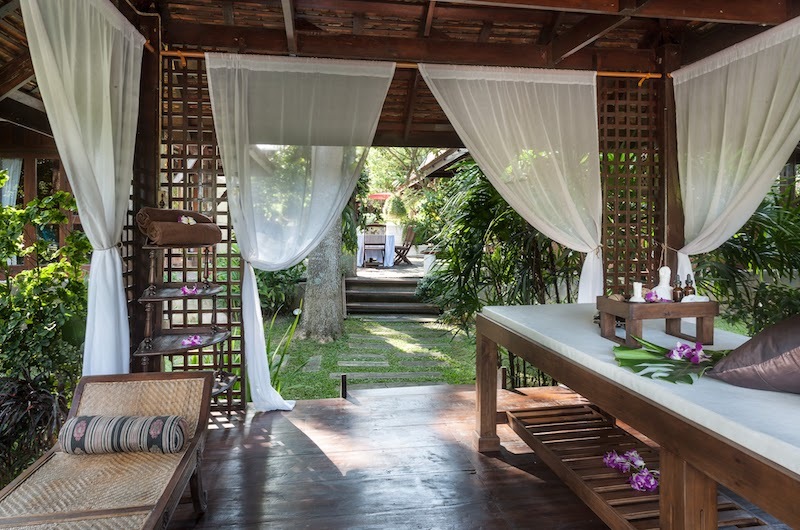 The villa is nestled in the gentle embrace of a private garden with towering high trees and blooming tropical flowers offering a decadent taste of Thailand’s vibrant nature with a tranquil fishpond providing an extra dose of Zen. 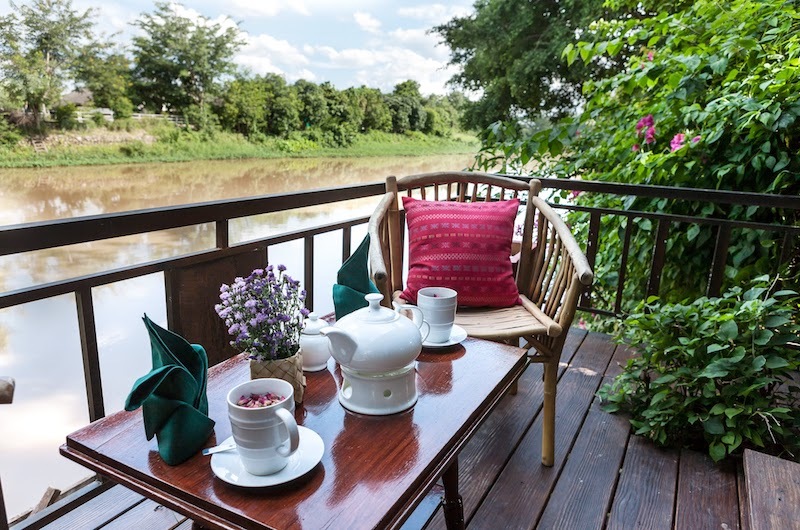 To get the full effect of this stunningly serene property, set the table outside on the patio and enjoy the soothing sounds of the river gently flowing by. 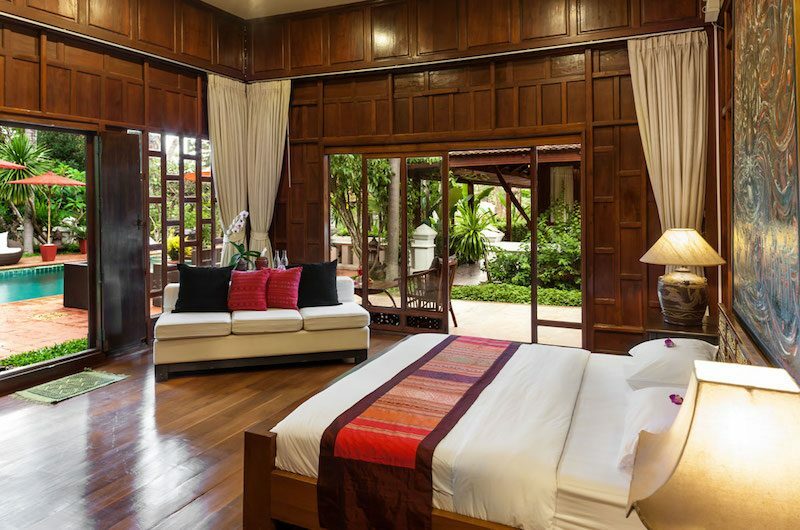 Ta Chang Villa houses four beautifully-appointed bedrooms. Two rooms are suites, which open out to five-star views of the pool. 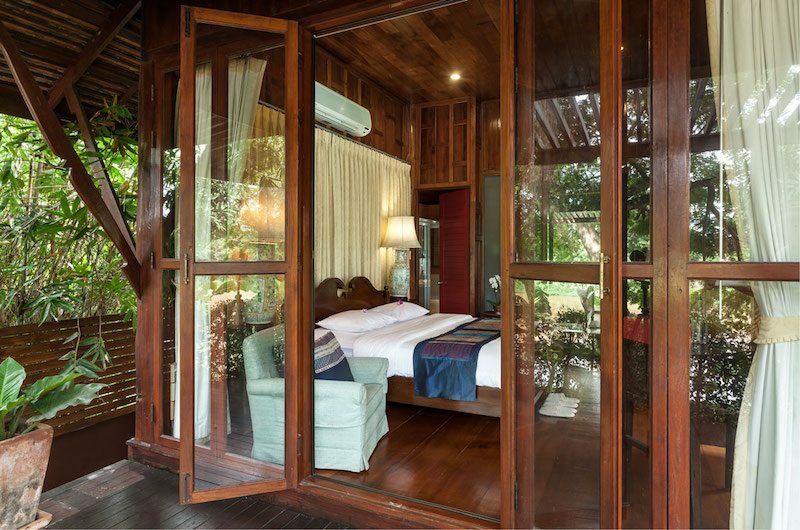 The two other rooms are interconnecting and come complete with tranquil views of the garden and river. Each room is furnished with a dream-soft queen-size bed and little gorgeous bespoke detailing lending each to its own unique beauty. Elegant ensuite bathrooms with all the modern amenities complete this picture. 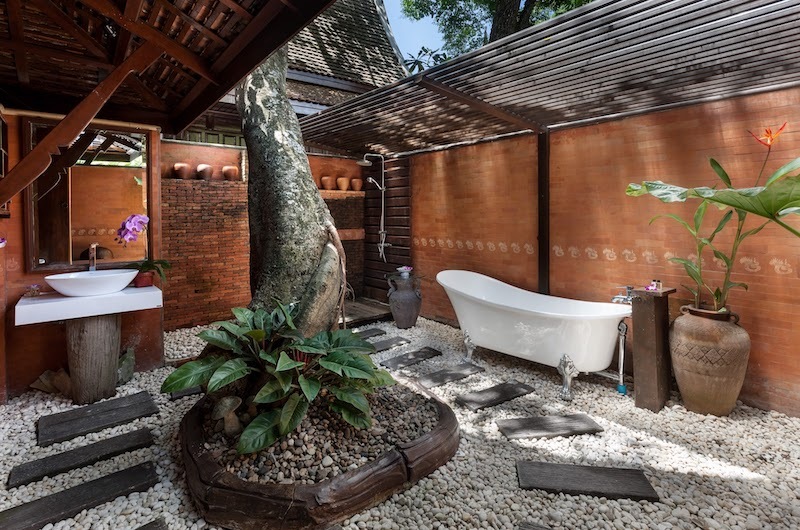 Spa Villa is a lavish four-bedroom property designed in true Thai style. 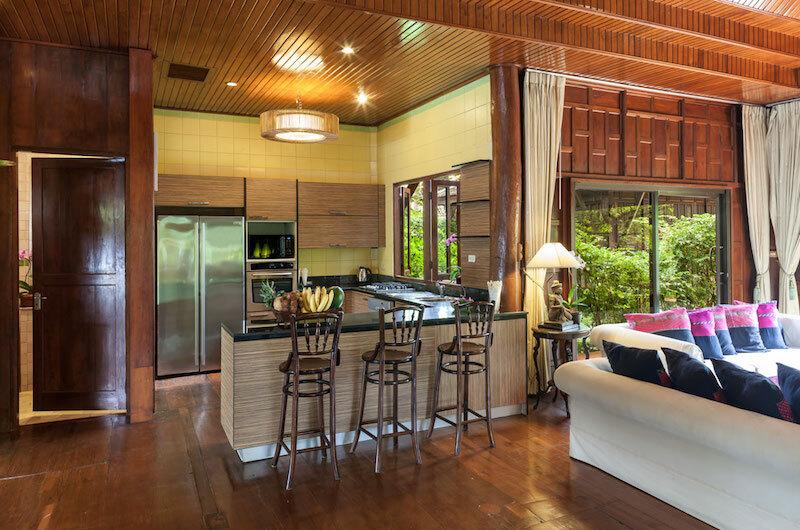 With high vaulted ceilings and a rich teakwood decor, the villa offers lavish space for lounging indoors, while the outdoor spaces cast a spell with a lush green garden and a stunning blue pool glimmering at the heart of it. 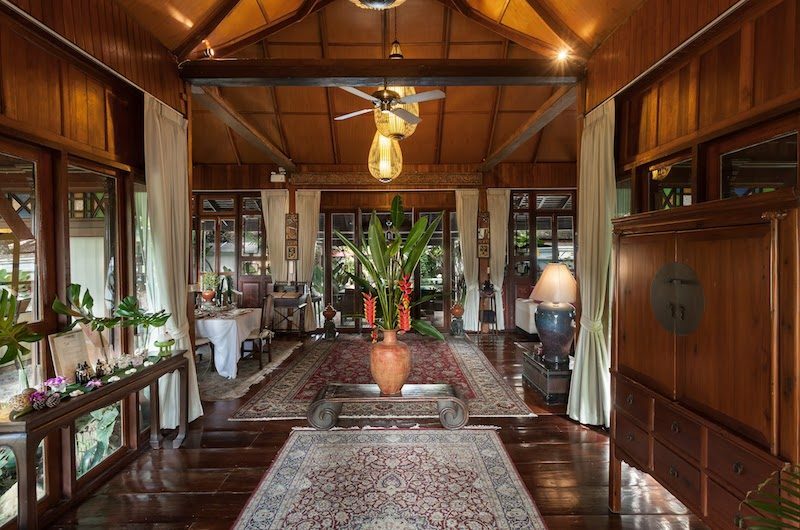 The light and airy living room has a beautiful design mixing Thai antiques and teakwood furniture with state-of-the-art technology (inclusive of a satellite TV, DVD player and Apple TV providing entertainment in case of a rainy day!). The plush sofa seats up to eight people, allowing the whole party to gather together for a friendly drink. The teakwood dining table shares the same fluid space with the living room. Light pours in through vast windows, with towering-high ceilings only adding to the immense sense of space. 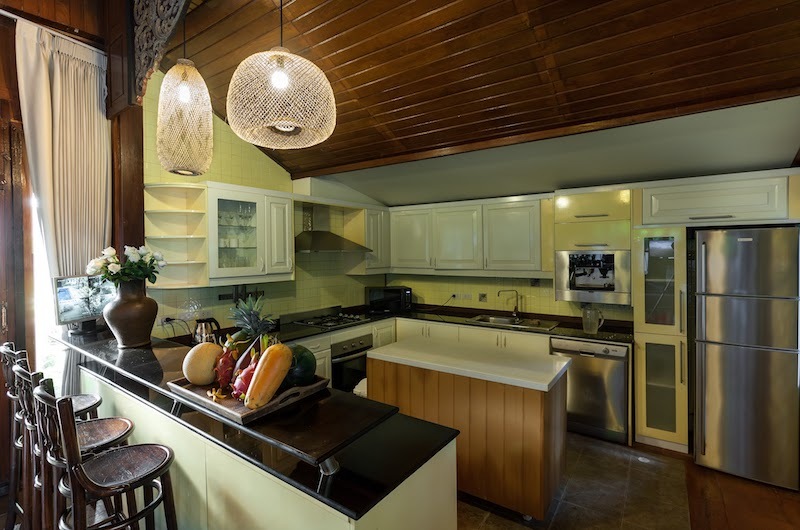 The dining area is adjoined by an immaculately furnished kitchen. 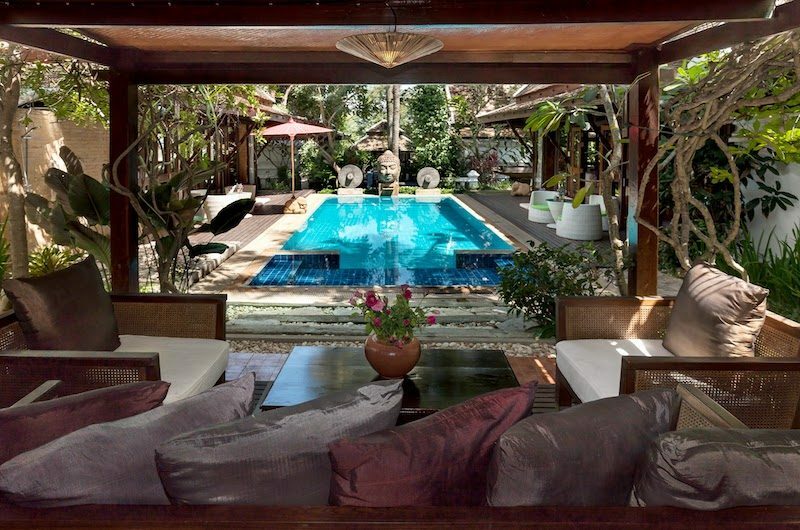 The focal point of the property is the shimmering turquoise pool flanked by a generous sundeck. 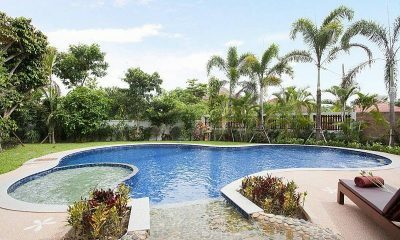 The whole estate is engulfed by a lush garden, providing guests with a luxurious sense of privacy. The final flourish to this dreamy oasis are the soothing sounds of a cascading river, which are best enjoyed over dinner out on the terrace. 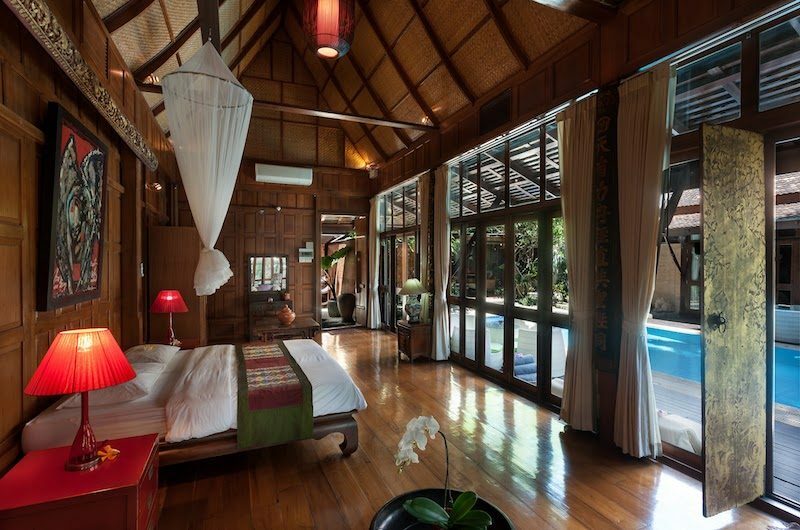 Spa Villa houses four elegant bedrooms. Two large suite rooms offer picturesque poolside views, with two smaller suites opening out to luscious vistas of the garden and river. 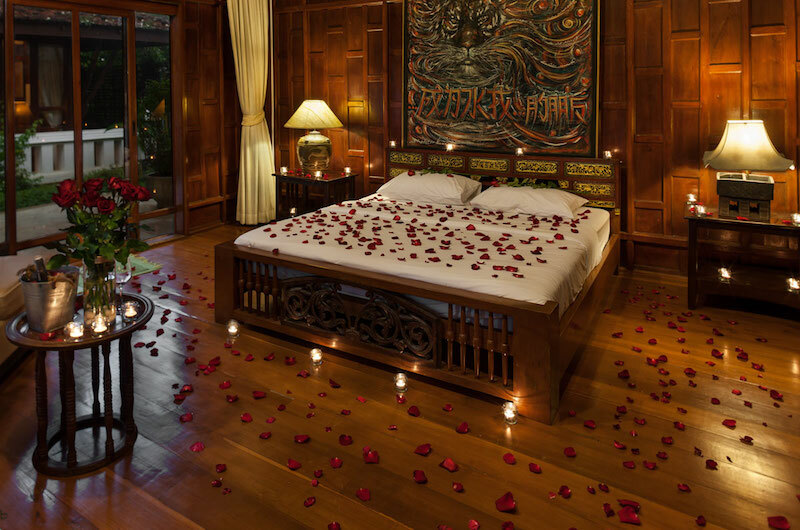 All rooms house plush queen-size beds set amidst a personalised décor of traditional Thai style. 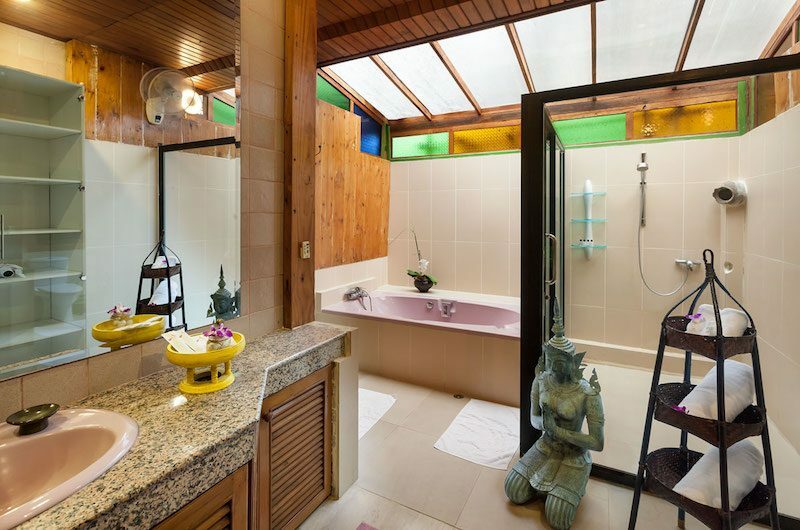 The ensuite bathrooms come complete with everything you could need to make the space comfortable and private so you can refresh and rejuvenate with ease. 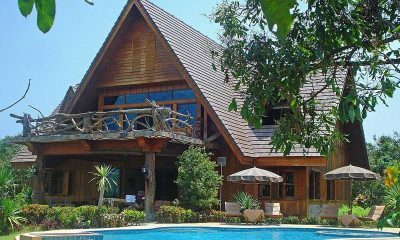 Your stay in Chiang Mai Luxury Villa is made enjoyable by the professional staff. 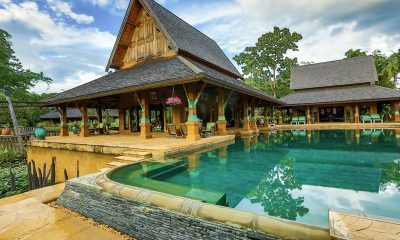 Chiang Mai Luxury Villa’s staff have been professionally trained and will do their utmost to please with their warm and friendly hospitality. 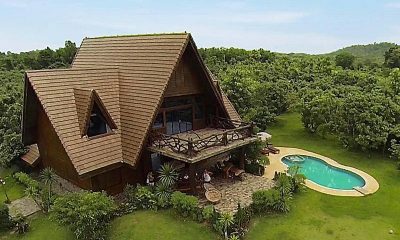 Chiang Mai Luxury Villa’s experienced and knowledgeable manager is responsible for the overall operation of the villa. The villa manager will oversee and coordinate the staff and property and assist you during your stay. 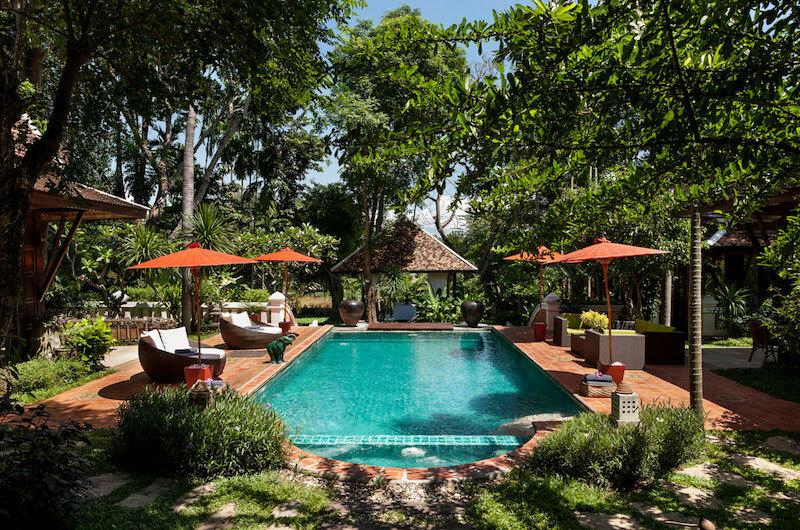 Located in the Northern Thai city of Chiang Mai, Chiang Mai Luxury Villa offers a heavenly swoon of vibrant local culture and luscious unspoilt nature. The city’s surrounding area is home to over 300 temples with the majestic Wat Phrathat Doi Suthep glimmering as the crowning jewel. Perched a kilometre above sea level, the temple offers stunning views for those who adventure there. One of the most popular ways to explore Chiang Mai is joining a jungle trek through the famous lush rainforests hugging the beautiful city. 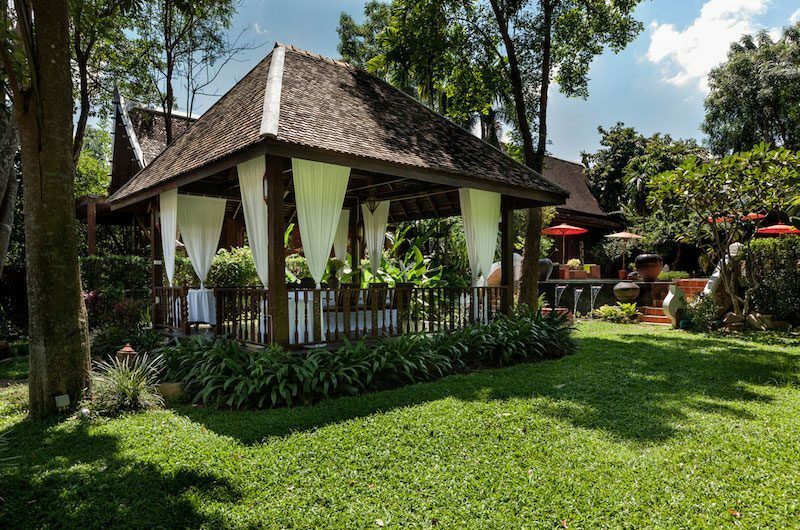 The property is located a 20-minute drive from Chiang Mai International Airport. Our stay at the Villa was fabulous! The staff was terrific and the house manager Nana was awesome! I worked with Munir from concierges who helped me tremendously. Everything was wonderful from the minute we met the driver at the airport. Every morning we were served a delicious breakfast outside. It was so nice to come back to the Villa after a tour and just hang by the pool with the family before dinner. Thanks to everyone at the Villa who made our family vacation so wonderful!